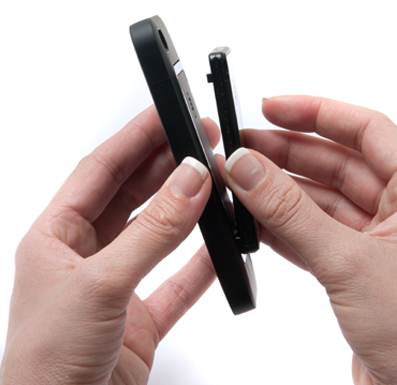 I've seen my fair share of iPhone 4 battery cases, and even reviewed quite a few. Third Rail is hitting the battery case market hard with their new iPhone 4 battery case dubbed to be the world's slimmest battery enabled case on the market. What sets this iPhone 4 case from others is its detachable battery that attaches to the back of the case when you need to do some charging. The whole point here is to have a battery case without the bulk of a regular battery case that has a built-in battery which bulks up the form factor of the case permanently. 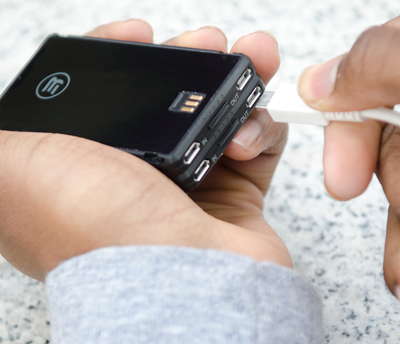 The Third Rail System is the whole package to get you started including the slim iPhone 4 case as well as a detachable 1250mAh battery that also doubles as a universal gadget backup charger using micro-USB and included cables. Third Rail's $59.99 Smart Batteries can be stacked up, up to 4 times to increase the battery capacity you carry. The iPhone 4 case and one detachable battery will set you back $89.99, but at least you're going to be future proof since the Smart Batteries are compatible with future Third Rail cases. Like a future Third Rail iPhone 5 case. All this sounds really good to me, I'll take 4 please. You can grab yours right now.